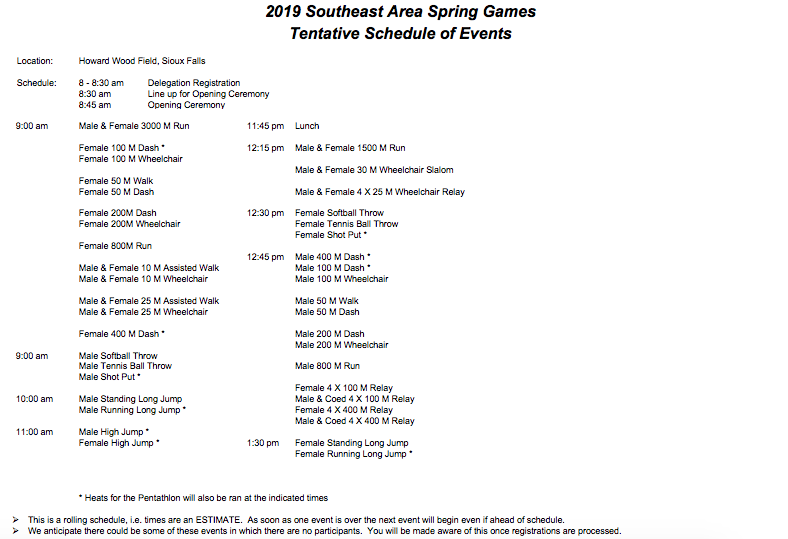 SE Area Track is April 27 at Howard Wood Field in Sioux Falls. The annual newsletter is now available. Please take a few minutes to read through it. 2018 was a very active year, and 2019 doesn't show any signs of slowing down. The below link has the 2019 scheduled events and locations. Did you know we have a new Facebook page? Search Special Olympics Sioux Falls Fireworks to check it out. This page is being updated often so be sure to follow us! This is a great resource to check for tournament details, practice cancellations, etc.